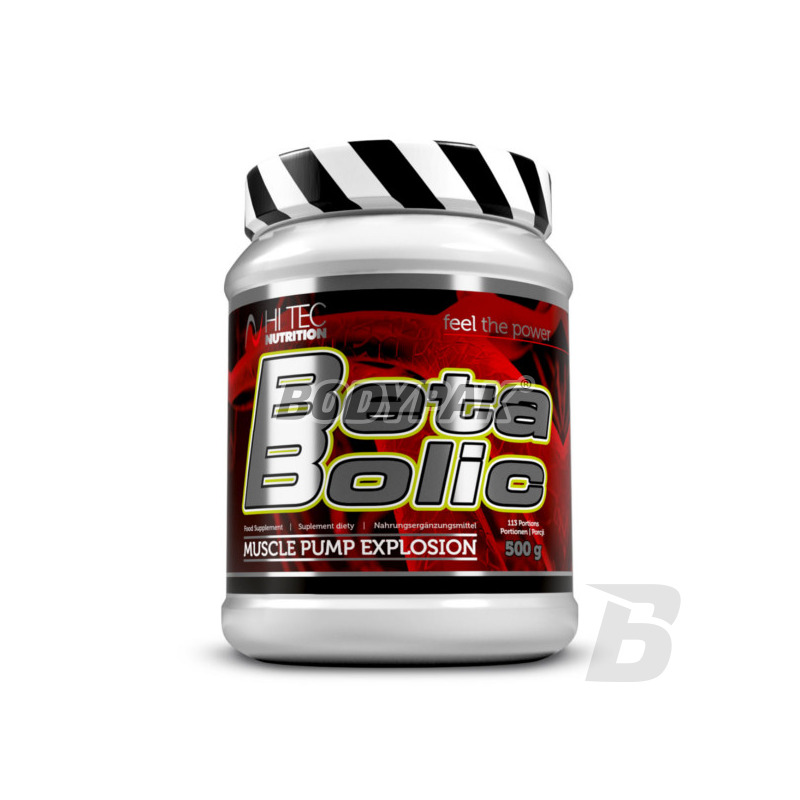 Hi-Tec Beta Bolic - provides the optimal dose of the most advanced, metabolically active and stable form of creatine in combination with beta-alanine and catabolic taurine. Magnesium chelate, esters and alkaline creatine considered to be the most effective and safest forms of administration of this super-anabolic component. Hi Tec Beta Bolic - 240 kaps. Hi Tec BetaBolic provides the optimal dose of the most advanced, metabolically active and stable form of creatine in combination with beta-alanine and catabolic taurine. Magnesium chelate, esters and alkaline creatine considered to be the most effective and safest forms of administration of this super-anabolic component. In addition, creatine BetaBolic is coupled to key components of the power production cycle - citrate, malate, alpha-ketoglutarate - increases the work the muscle cells for strenuous exercise. 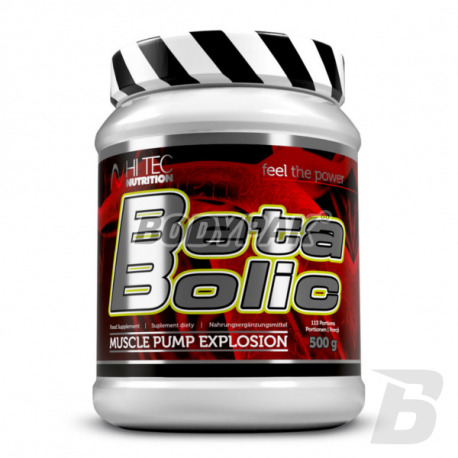 Hi Tec BetaBolic is composed of innovative and highly effective buffer muscular acidity in the form of beta-alanine in muscle cells which is converted to carnosine. Excessive acidification causes severe pain and the sudden collapse of muscle during a series of strength training. Hi Tec BetaBolic will exceed the "muscular failure" while performing forced reps and quickly complete the ATP supplies for the next series and training. Ingredients: creatine alkaline beta-alanine, taurine, alpha-ketoglutarate, ethyl ester, creatine citrate, malate, magnesium creatine chelate. Przyzwoity produkt za nie wygórowana cenę. W tej cenie polecam. Dobry i działający produkt, jedyny minus to chyba tylko to, że nie da się go po prostu wsypać do ust i popić. High-quality creatine malate, which is designed for athletes and people with increased physical activity helps build muscle mass and strength is a pure concentrate of high-quality creatine malate. The purest and strongest form of creatine on the market - reaching for this product will be able to rapidly reach their maximum capabilities, to later cross them. Do not waste time being small. Show what you can do!